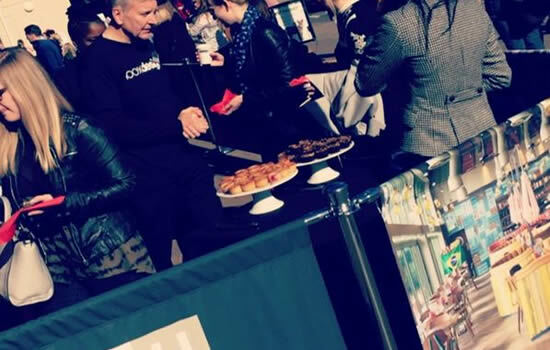 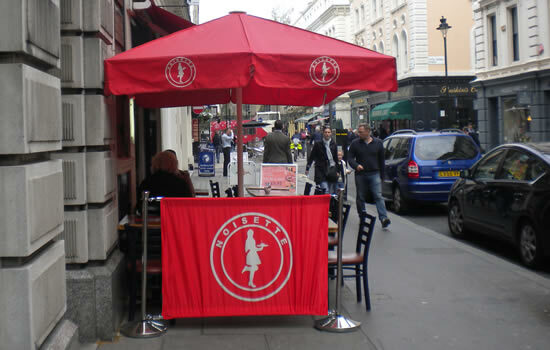 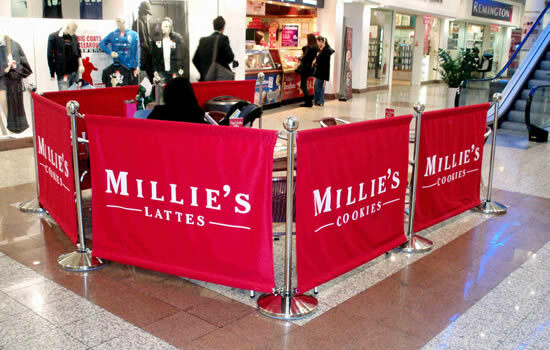 Queue-safe offer a range of outdoor parasols, café barriers & café screens that can be customized to suit your brand colours & logo. 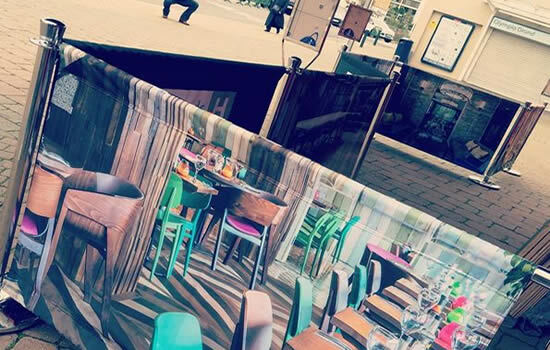 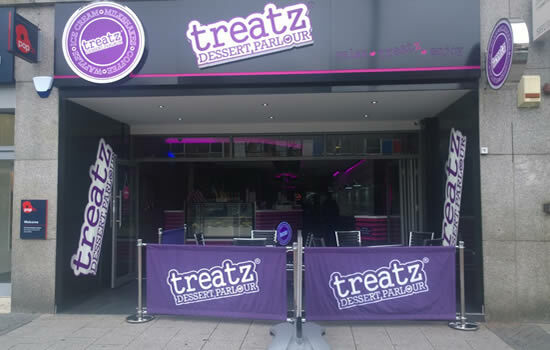 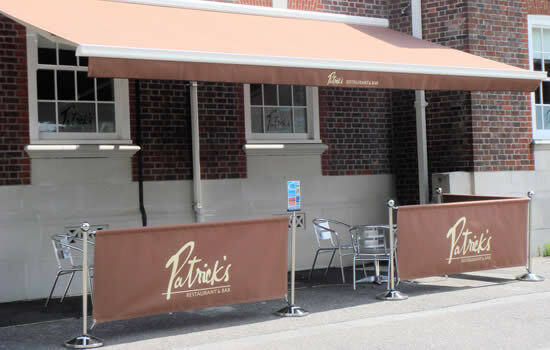 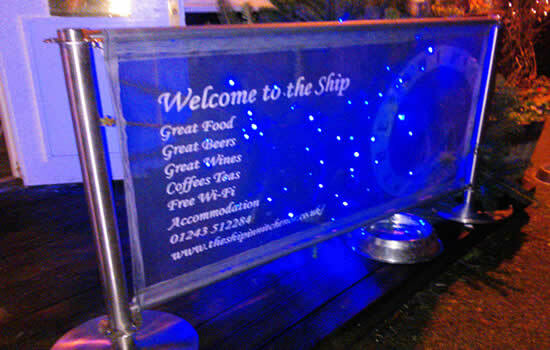 PVC banners are ideal for busy town centre bars, restaurants and clubs being wipe clean and hard wearing. 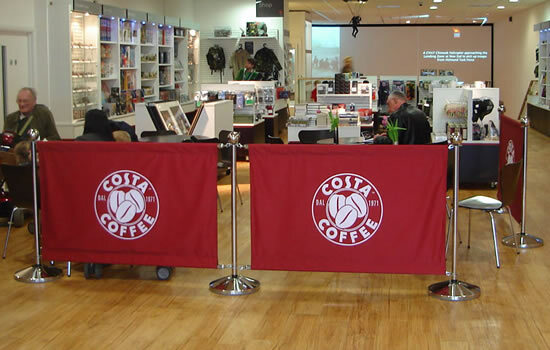 Fabric banners are ideal for a more contemporary look, these banners are environmentally friendly and machine washable. 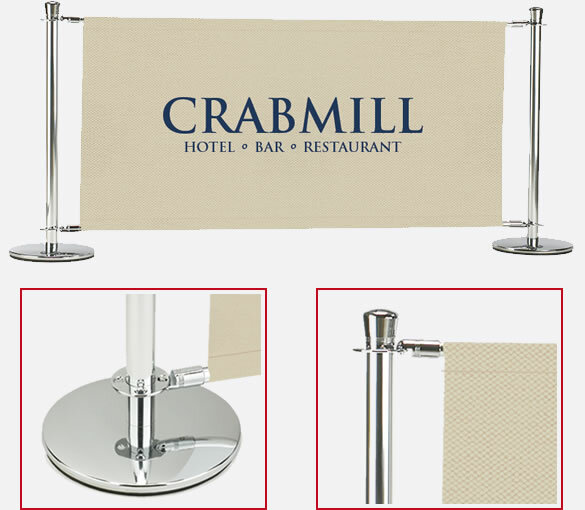 There are fabric choices and can be branded single or double sided. 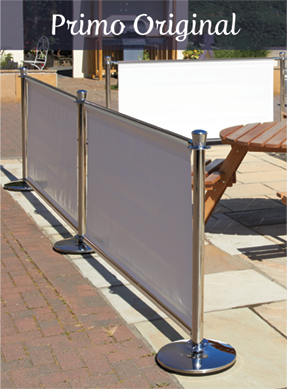 Three standard lengths are available and all models are DDA compliant. 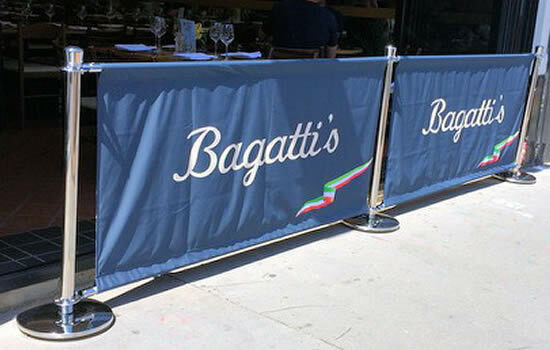 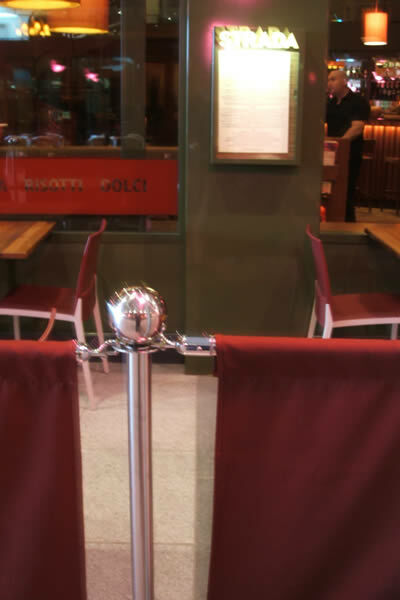 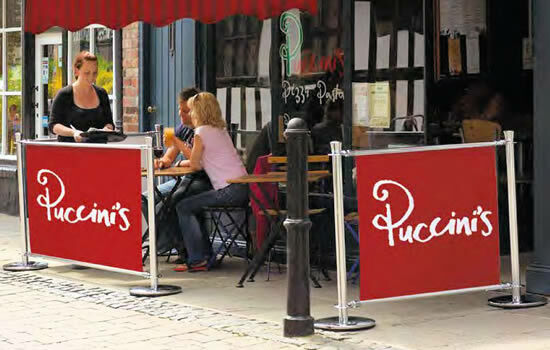 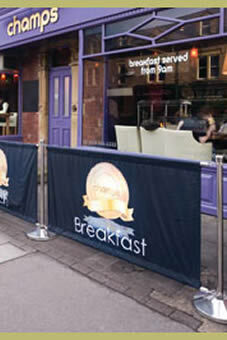 Our Premium & Regular Café barrier posts are made from polished chromium plated steel to enhance the look and lifespan. 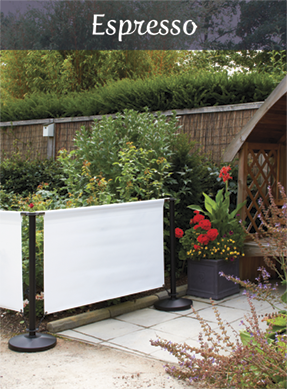 The weight of the Premium base is 18kgs with a stainless steel cover and is low profile making them more wind resistant than most. 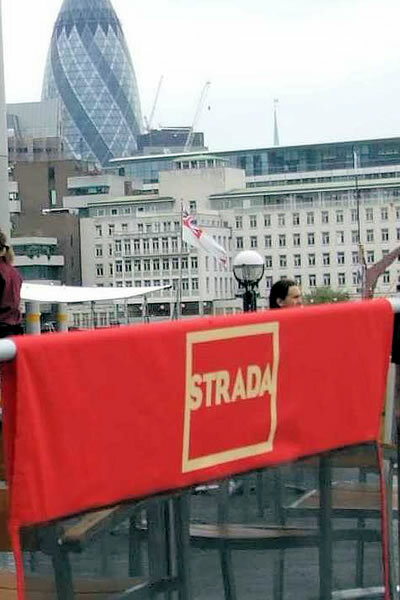 Banners are looped over top and bottom crossbars and tensioned by the weight of the bottom “floating” crossbar. 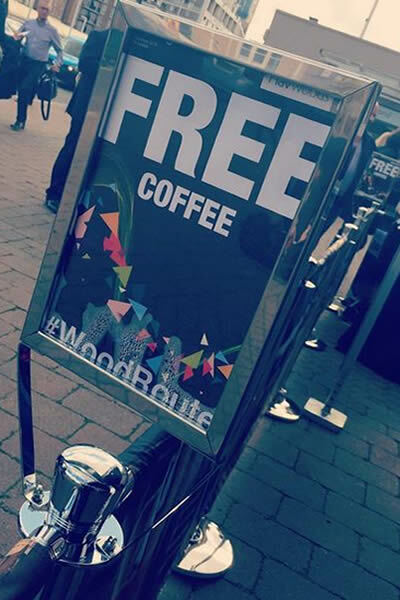 The Regular has a lighter 10.5kgs base weight. 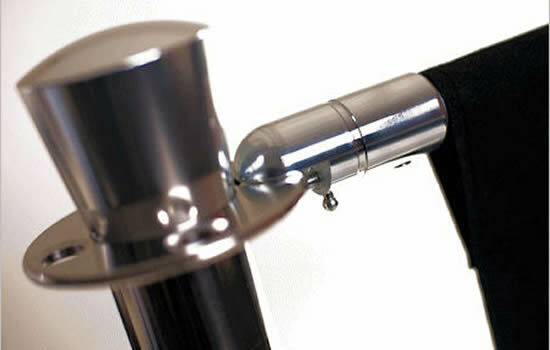 We also have a Black Powder coat painted Economy system, which is 12.5kgs. 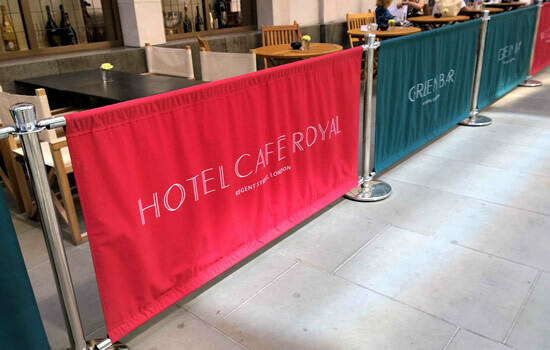 Both the Regular & Economy have top crossbars and the banner is looped over and the Bottom of banner attaches to post using a spring clip. 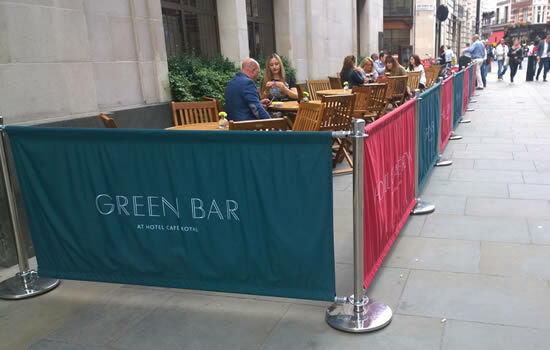 We also supply Ground Fixed posts in Marine Grade stainless steel and a Pavement Café barriers made from polished stainless, the weight of each base is 13kgs. 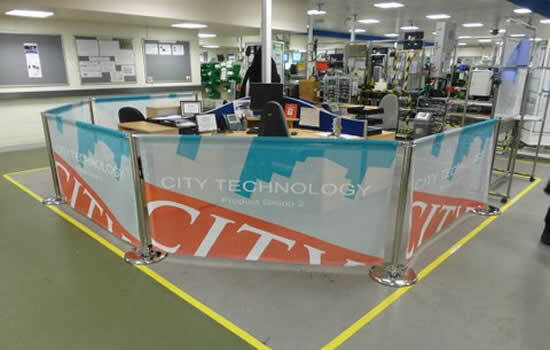 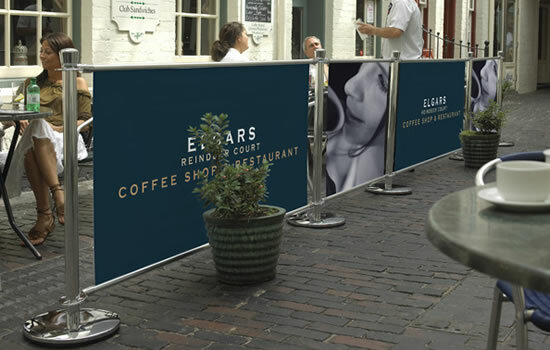 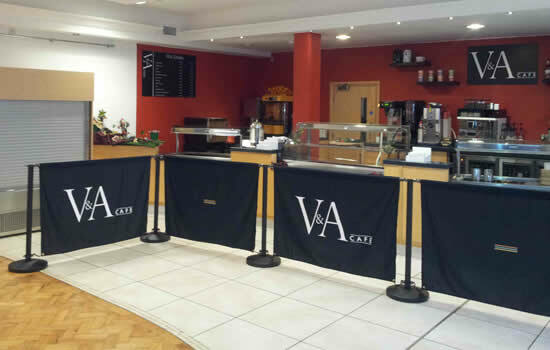 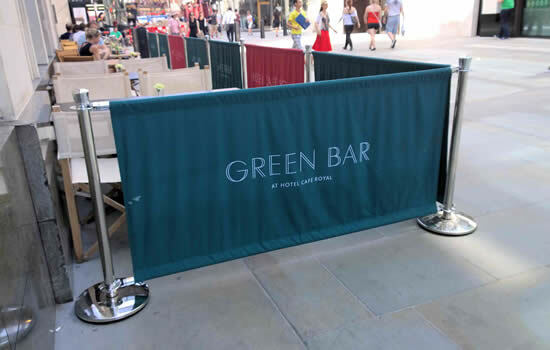 Our cafe barrier posts are supplied for self-assembly and should take no longer than 10 minutes to assemble. 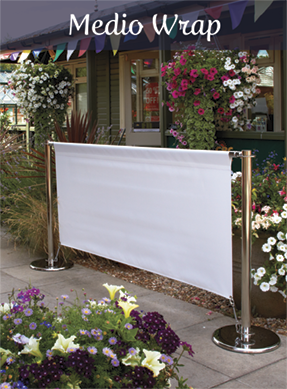 Digitally printed banner prices include FREE Design Service.